There are a number of BS & BSEN Standards that apply to balustrades and at times this causes confusion and uncertainty for designers and specifiers alike! BS 6399 (withdrawn March 2010) and superseded by BSEN 1991-1-1. BS 6399 Parapets, Balustrades and Partitions were covered and some design loads were given and this was extended to infil panels but for a designer to consider (by calculation usually). BSEN 1991-1-1 reference is made to a National Annex for the actual design loads to be considered. This gives values for parapets and balustrades but not infil. There are requirements for partitions which have to provide a restraining function. 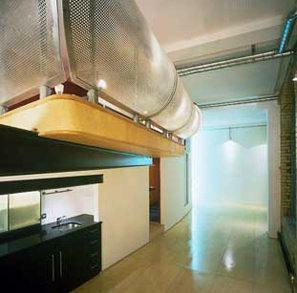 Partitions are also required to resist vertical load but infill to balustrades are not included. BS 6180:1999 gives the guidance for Barriers in and about Buildings. This standard refers to design being in accordance with the Code for the Structural Use of Aluminium. 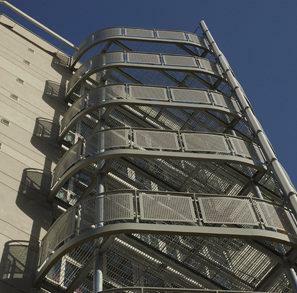 However there are no requirements for balustrade infil and we therefore decided to arrange for an independent materials testing centre (Ceram Research) to test our perforated aluminium infil panels for soft body impact. This test is intended to be sure that non load bearing enclosures to buildings can safely withstand the impact of a person. The recommended test was to BS 8200:1985 which is designed exactly for this purpose. In a situation where there were no safety requirements we wanted to ensure we could provide test data that would safeguard against someone falling and going through an infil panel.